& Get 1 Year of Mathseeds FREE! The Homeschool Buyers Co-op is pleased to present our GroupBuy for a 1-year subscription to Reading Eggs (including Reading Eggs Junior & Reading Eggspress), a "fun and motivating" reading curriculum from Blake Learning. 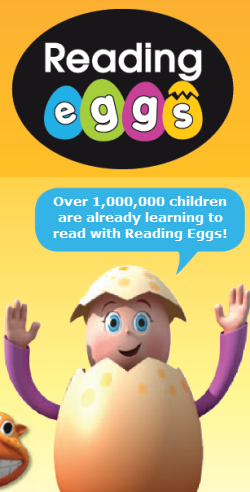 Reading Eggs is an online reading program that seeks to make learning essential reading skills a fun and motivating experience for 2 - 13 year olds. It does this providing a huge variety of reading lessons, game-like activities, memorable funny songs, animated characters, and rewards. What's more, Reading Eggs supports each child's learning by offering individual, one-on-one lessons. These online lessons help your child easily progress at his or her own rate. 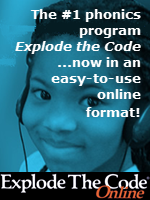 Learn Skills: Children complete animated online lessons where they learn essential reading skills. The variety of fun activities within each lesson provides the repetition needed for these skills to become part of the child's long term memory. Read Books: Children can gain confidence by reading books online that only contain words they have already learned in the program. Earn Rewards: Children earn golden eggs as rewards for work completed. They can use these eggs to buy reward games. 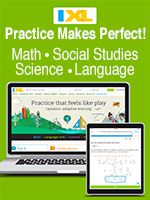 Take Quizzes: After 10 lessons, children complete a Mastery Quiz. 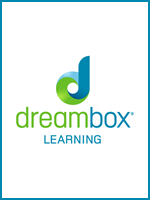 This provides you with a report of what your child or student is learning. Children can repeat the online lessons as many times as they like. Young children enjoy repetition and it has great benefits in helping children learn and retain the materials. 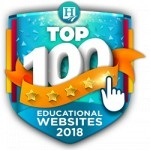 This combination of learning activities, motivation and rewards -- at an incredible low member price -- makes Reading Eggs a curriculum worth considering for your homeschool! Visit the Reading Eggs website for more information. Sign up for a free, 14-day parent trial account. You can then add students to your free trial account and give the product a test drive. IMPORTANT: Please sign up for a trial parent account only. Do NOT sign up for a trial teacher account. Read the official Reading Eggs FAQs for more information. Consult the Co-op's Reading Eggs FAQs. Fulfillment: Within 15 minutes of receiving your order, the Co-op will publish a 100% off coupon code that you can use to get your subscription at the Reading Eggs website for no additional charge. This happens automatically. Just sign in to your Co-op account. Look under "My Subscriptions" for instructions and your access code(s). You can use your access code(s) to convert your trial account to a fully-paid up account. Returns/Cancellations: In order to bring you these great prices, we cannot accept returns or cancellations. Please sign up for a free parent trial subscription to ensure this is what you want BEFORE you make your purchase. System Requirements: To use Reading Eggs, you need a high speed Internet connection and a recent version of Google Chrome, FireFox, Chrome, or Safari -- all with Flash enabled. If you haven't already done so, please sign up for free 14-day trial parent account and add your students to it. Enter the number of promo codes you want in the Qty space above. With an promo code, you can convert a trial student subscription to a fully-paid up student subscription for one year. Note: You save 50% off the full retail price on each additional student in the same order. Within 3 business days, sign into your Co-op account. You'll see your "My Subscriptions" page. Look in the "Reading Eggs" section of your "My Subscriptions" page for instructions and your promo code(s). 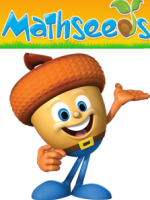 Pay full price for Reading Eggs and get 1 Year of Mathseeds absolutely FREE!!! Select this purchase option to get a one year subscription to BOTH Reading Eggs AND Mathseeds. PLUS! Get 500 Bonus SmartPoints with your order! Enter the number of Combos you want in the Qty space above. You'll receive that number of promo codes for both Mathseeds and Reading Eggs that you can use to convert your trial student subscription to a fully-paid up student subscription for one year. Note: You save 50% off the Member price for each additional student in the same order. Look in the "Reading Eggs & Mathseeds" section of your "My Subscriptions" page for instructions and your promo code(s).